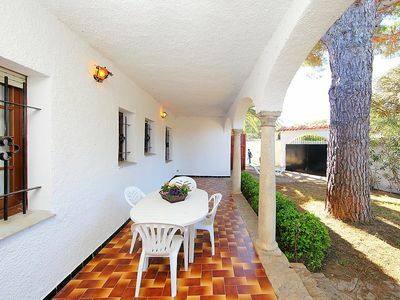 Modern Holiday house for 6 adults plus babies with 3 double bedroom, 3 bathroom, AC, private pool, free internet, located between Campanet and Platja de Muro. This property is perfect for those seeking peace and relaxation . 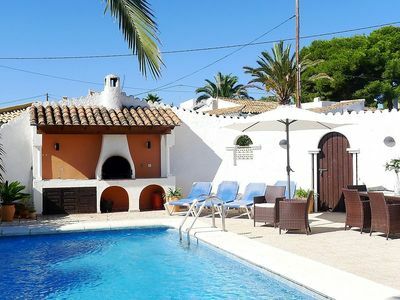 The villa Xainu Island is located in Crestatx / Sa Pobla, in a residential area where there are only houses and no shops or commercial premises. Crestatx is the ideal choice for families with children or those who want to escape the stress of everyday life just once to recover really. 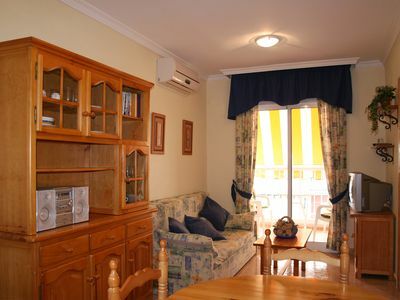 The nearest village (Sa Pobla) with supermarkets, shops, doctors, bars, restaurants, etc. can be reached in just 5 minutes by car. The next largest city is Inca, where you will find even German supermarkets such as Müller, Aldi and Lidl. The general road traffic route is super from here, so that you reach all interesting attractions quickly and easily. Read more in our 5StarsHome Free App ... Quick download and back up all Mallorca tips !!! The villa Xainu Island is located on a dead end, what does that mean there is no traffic . The exterior of this modern villa is designed with a large landscaped garden with palm trees and colorful mixed Botany. The lawn and the wild garden area is perfect for young explorers. There can be abated so right. Among a large carob tree has a comfortable seating area to relax. A refreshing place to read an exciting book. The saltwater pool (4m x 7m) is situated in the middle of the garden and surrounded by the large terrace which offers enough sun or shade. 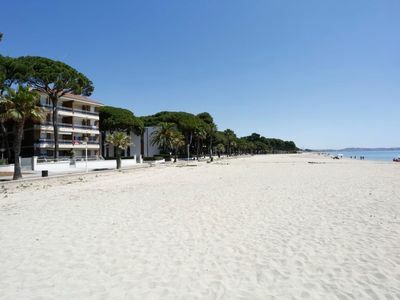 A sun lounger, sun loungers and a furnished chill-out area provide ample space for the whole family. The turquoise pool is easily accessible via steps and has a separate part with only knee-deep water, ideal for small children. Directly on the house is the covered terrace. There you can dine on a large table that can accommodate for a minimum of 6 adults or enjoy advance on the very comfortable rattan lounge furniture with a glass of good local wine. For your barbecues you have a barbecue behind the house available. There can be prepare especially good fresh local products which you get on the famous Majorcan weekly markets. The barbecue is created behind the house so that other passengers are not inconvenienced by the smoke. We the team of 5Starshome find this is a super solution. In the garage you have a utility room with washing machine. Directly on the property can accommodate up to 4 rental cars. 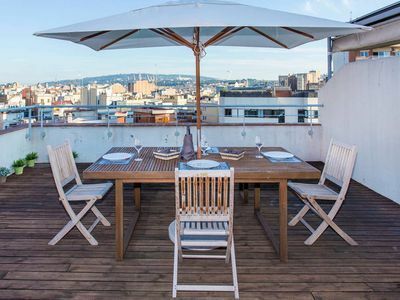 The very modern interior of the house is divided into 180m² and offers 3 double bedrooms, 2 with large double bed. 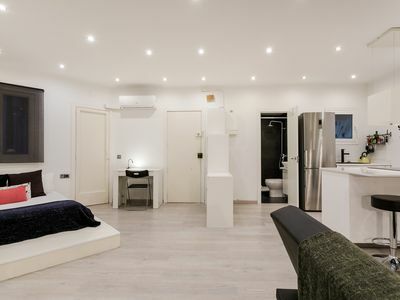 The 3rd double bedroom is a kind of studio with a small own kitchen and bathroom en suite, fitted wardrobes, air conditioning and flat screen TV. 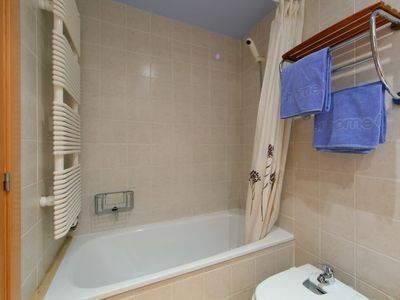 The main living area is equipped with 2 additional, very nice modern bathrooms. Hair dryers are available. All bedrooms are equipped with air conditioning and fitted wardrobes / closets. Baby travel cots are also available. A safe for your personal valuables is installed. The living room flooded with light is equipped with a large comfortable sofa. The flat-screen TV has satellite / cable connection and thus international television. In the middle of the living area, a modern fireplace is installed so that you can really feel at home even on cooler winter months. Air conditioning (hot / cold) is available throughout the house. The open, fully equipped kitchen has everything you need for cooking, an oven at a comfortable height, ceramic hob, microwave, modern sink area, dishwasher, filter coffee machine, kettle, toaster, juicer, etc ... The dining table can accommodate up to 6 adults. High chairs for our younger guests are present. Upon entering the property you will receive all that is soon clear decorated very stylish and decorated with love. 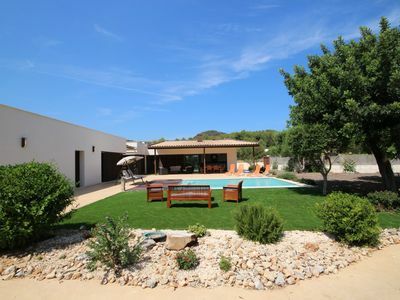 Once tried this object surely become one of your favorite holiday homes here in Mallorca. We look forward to you….